Marketing techniques and promotional media have become more diverse and accessible in 2016. However, certain merchandising approaches are more effective and profitable than others. The use of merchandising supports remains an extremely effective way of maintaining and creating customer loyalty. A corporate merchandising gift, compared to other innovations, continues to be a potent and economic means of realising a genuine return on investment in professional marketing. According to certain marketing specialists, promotional merchandising seems to be a classic means of developing and creating corporate customer loyalty. Disregarding the term «classic«, which can purvey connotations of an obsolete image, personalised merchandising remains a sound investment in good customer relations. Merchandising gifts are omni-present and have access to all the nooks and crannies of your customers’ offices. 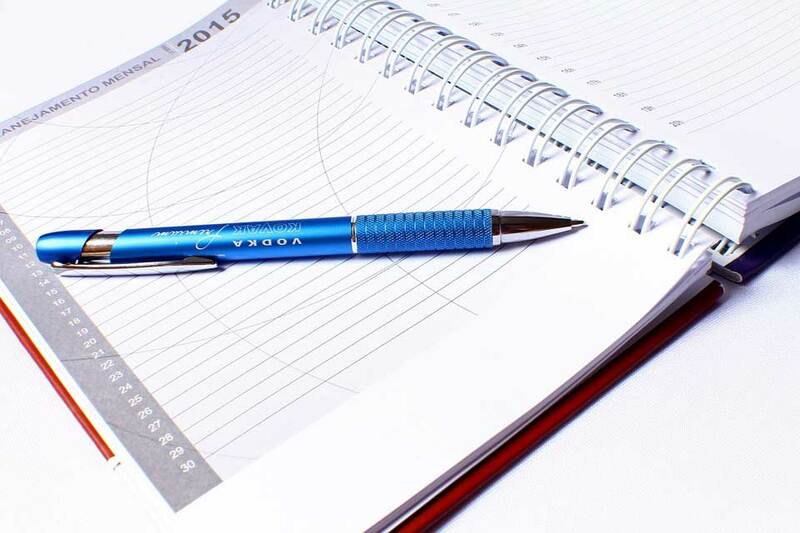 Whether it’s a pen, personalised diary or logo-branded calendar, the object becomes an insider in your customer’s daily professional environment. Diaries are mobile and can be consulted anywhere, pens can be lent, and with your image indelibly linked to the merchandising object, your company will increase its visibility in the easiest possible way. More so than a publicity campaign, your company’s merchandising gift, will not just pass the customer by like other campaigns, but embed itself in the customer’s day to day activities. Thanks to the merchandising object your firm will actually move into your customer’s immediate environment. Unlike publicity campaigns which rely on a short-term effect, merchandising objects have a strong business impact by their presence in your customer’s environment. Indeed, with the merchandising gift’s occupation of your customer’s universe, it will repeat its message continually, whereas simple advertising tends to be a one-off affair. Moreover merchandising gifts’ long-term positive impact are a lot more economic than other marketing techniques. Therefore advertising in media such as magazines, newspapers or radio and television account for greater investments than campaigns based on merchandising supports. Short-lived messages cannot compare to that of quality merchandising objects, such as diaries and calendars, which benefit from year round usefulness and visibility. Certainly investment returns on personalised merchandising objects are a lot more interesting with regard to their initial cost, compared to other publicity vehicles. Campaign investment returns can now be calculated not only on one marketing episode, but over a longer period of visibility and publicity, resulting in positive commercial benefits in the short, medium and long term. Launching a marketing campaign based on the creation of personalised merchandising objects is an effective and economic means of projecting your company’s image on your customers and potential customers. By investing in quality promotional supports, your company will have a positive impact on its customers, and a reliable return on investments in the long- and short-term. Margy Consultants, market leader of personalised promotional gifts, can offer you quality and adapted merchandising supports that transmit your firm’s positive commercial message.